SNOBSITE: NOW WITH WINE SNOBBERY ADDED! The fourth title of the Snob’s Dictionary series has arrived, and, as you can see above, it concerns wine. It officially comes out on October 14. You can order the new book on Amazon or support your local independent bookseller, whether here, here, here, or somewhere else. 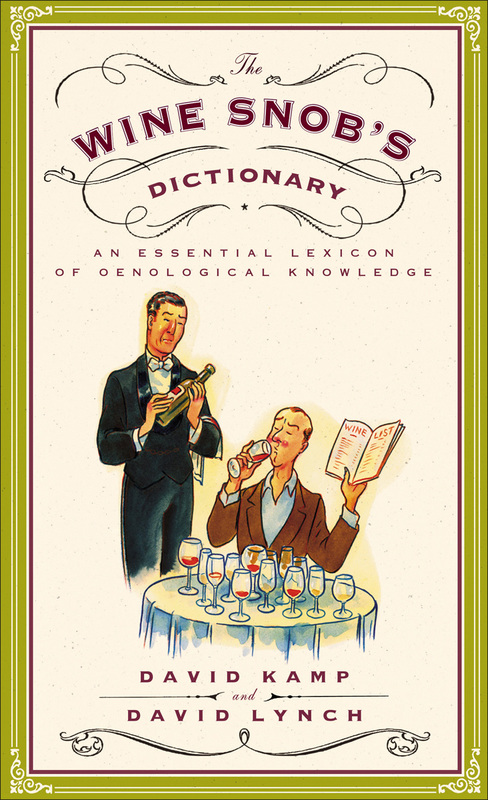 In conjunction with The Wine Snob’s Dictionary’s release, Snobsite has been reconfigured, with easier-to-read posts, a generous helping of sample entries from the new book (as well as samples and intros from the other three books; click on the links in the “Snobbipedia” to the right), and, most fun of all, a random-snobbery generator known as the Snob Spotlight, down at the lower right. Every time you open a Snobsite page or refresh the one you’re currently visiting, the Snob Spotlight will offer up a randomly generated definition from one of the four Snob’s Dictionary books. Which is really useful if you’re dashing off to a dinner party and need a quick fix of trivia to sound knowing and pompous about.